Q-Connect Adhesive Putty 140g KF04591 Pack of 1 Q-Connect Quick Tac Adhesive Putty. Reusable adhesive that will hold paper or light objects to most surface. It will not mark walls or dry out. 140g pack. Q-Connect Adhesive Putty 70g KF04590 Pack of 1 Q-Connect Adhesive Putty. 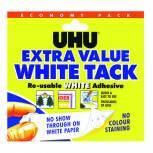 Reusable adhesive that will hold paper or light objects to most surface. It will not mark walls or dry out. 70g pack. 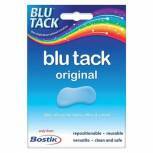 Bostik Blu-Tack Handy Pack 60g Single 801103 Pack of 1 Re-usable adhesive putty. Clean, non-toxic formulation. Stays flexible and won't dry out. 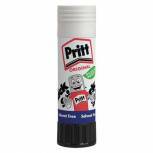 Suitable for non-porous surfaces, paint, glass and metal. Easily removable. 0.5 g of Blu-Tack can hold up to 105g. 1x 60g Handy Pack. 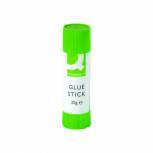 Q-Connect Glue Stick 20g (Pack of 12) KF10505Q Pack of 12 Q-Connect Glue Sticks. High quality permanent glue. Solvent free. Medium 20g. 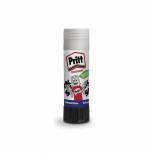 Pritt Stick 22g (Pack of 6) 1456071 Pack of 6 Pritt Stick. Quick and easy. Clean and washable at 20 degrees. Solvent free. Acid free and non-toxic. Fully compliant to European toy safety standards - EN71 - CE marked. 22g. 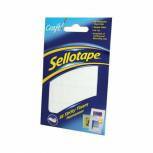 Sellotape Sticky Fixers Permanent 12 x 25mm (Pack of 56) 1445423 Pack of 1 Double sided foam pads for permanent holding and mounting. Each pad is 12mmx25mm and has a weight load of 90g. Pack 56 pads. 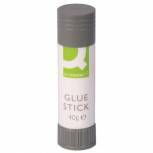 Q-Connect Glue Stick 40g (Pack of 10) KF10506Q Pack of 10 Q-Connect Glue Sticks. High quality permanent glue. Solvent free. Large 40g. 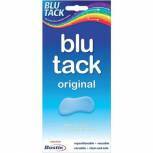 Bostik Blu Tack 60g (Pack of 12) 30813254 Pack of 12 The original No.1 reusable adhesive. Handy 60g. Pack 12. 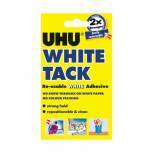 UHU White Tack 100g (Pack of 6) 43527 Pack of 6 UHU White Tack Economy Pack 43527. Sticks paper or small objects to a multitude of surfaces. 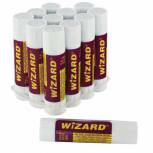 Small Glue Stick 10g (Pack of 12) WX10504 Pack of 12 Easy to use solid glue sticks. 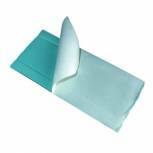 Great for sticking paper and card. Screw-end design with protective cap. Solvent-free: safer to use. Supplied in small 10g tubes. Pack of 12. 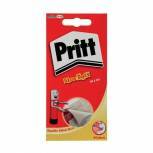 Pritt Stick 11g (Pack of 10) 1456040 Pack of 10 Pritt Stick. Quick and easy. Clean and washable at 20 degrees. Solvent free. Acid free and non-toxic. Fully compliant to European toy safety standards - EN71 - CE marked. 11g. 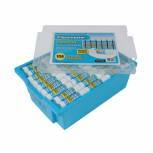 Pritt Glue Dots Repositionable (Pack of 768) 1444965 Pack of 12 Pritt repositionable glue dots. 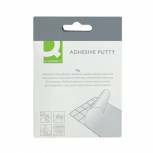 Easy to use acid free individually formed adhesive glue dots for all art and craft needs. Simply peel off the backing paper and position the dot exactly where needed. No drying time required and no liquid glue mess. 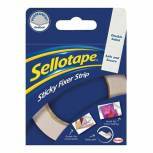 Sellotape Sticky Fixers Strip 25mm x 3m 484330 Pack of 1 Sellotape Sticky Fixer Strip. Foam strip coated both sides with strong adhesive for permanent mounting and displaying. Each metre of Sticky Fixer gives up to 9kg of weight load. Roll size: 25mmx3m. 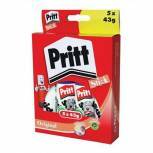 Pritt Stick 43g (Pack of 5) 1456072 Pack of 5 Pritt Stick. Quick and easy. Clean and washable at 20 degrees. Solvent free. Acid free and non-toxic. Fully compliant to European toy safety standards - EN71 - CE marked. 43g. 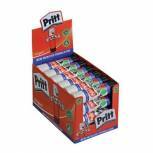 Pritt Stick 43g (Pack of 24) 1564148 Pack of 24 Pritt Stick. Quick and easy. Clean and washable at 20 degrees. Solvent free. Acid free and non-toxic. Fully compliant to European toy safety standards - EN71 - CE marked. 43g. 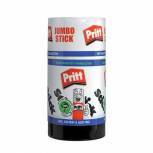 Pritt Stick Jumbo 90g (Pack of 6) 1479570 Pack of 6 Pritt Stick. Quick and easy. clean and washable at 20 degrees. Solvent free. Acid free and non-toxic. Fully compliant to European toy safety standards - EN71 - CE marked. 90g. 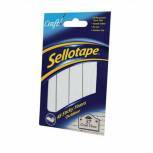 Sellotape Sticky Fixers Outdoor 20 x 20mm (Pack of 48) 1445421 Pack of 1 Double sided foam pads for permanent outdoor mounting applications. Each pad is 20mmx20mm and has a weight load of 90g.